This is a strangely designed little EP I bought a few years ago. I do not anything about the singer, Johnny Tan, but the backing band, Charlie and His Go Go Boys, recorded several instrumental A-Go-Go EPs. 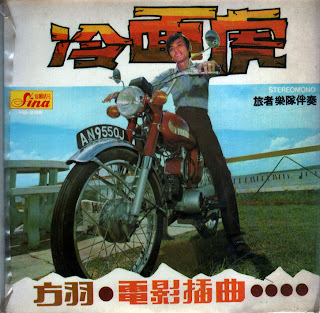 One of my favourite Chinese Beatles covers. I always have a soft spot for female vocalists covering male songs. A dear old friend gave me this cd last weekend. Cutesy covers by a girl singer playing ukulele. My friend knows my taste. 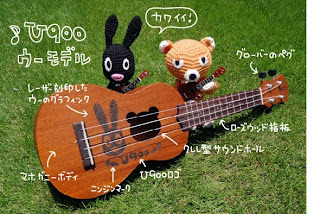 I've not heard of them before, but apparently this Japanese duo U900 were an Internet viral sensation in 2009 because of quirky videos like this. First post since 2008! And what prompted me to revive this blog? My new year's resolution is to spend less, and that includes spending on music. Fortunately there is Spotify, whereabouts I discovered this stunner. Previously all I knew of The Teardrops was the song Tears come Tumbling, a track from Where The Girls Are Vol 7. I love this song's guitar which comes in from first 8 seconds onwards, which sounds like Beatles + Girl Group. My latest Mod-ified Music radio show (we're now onto episode 18!!) is available for download here. Among the thrilling songs played in this episode is TypeWriter's very Joe Meek-sounding "For Your Everything", with its Beatlesque chorus. Download the song here, and visit their MySpace! And do check out Unpopular.Radio here. I've blogged about her before, but now I've finally got her cd. Mareva Galanter makes for addictive listening! Because I can't read Chinese characters, when it comes to deciphering names of singers and song titles, I'm lost. Hence when picking my choice of blogging material, it's always easiest to stick to recognisable covers of pop songs, or at the very least, singers with English names. In this example, I don't know the singer's name, but this is too awesome a cover not to share! And check out that terrific sleeve art! I'm back after a long blogging hiatus. And with new music to share, as you've gathered from the recent posts (& more to come, I promise). I still love local Singapore 60s, and it's with great pleasure that I present one of my favourite buys of this year! This is Stevie Loraine, backed by The Clansmen, comprising: Abdullah Abu (lead), Derrick Nunis (rhythm), Philip Monteiro (drums), and Raymond Lazaroo (bass). I'm guessing it was released (or purchased) in 1967, because that's scribbled in marker on my sleeve. 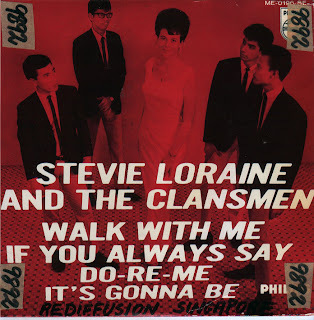 Prior to this EP, Stevie Loraine recorded one backed by The Dukes, and you can view the sleeve here. 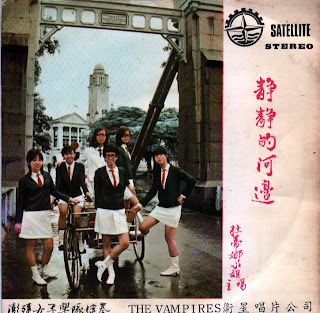 Singapore 60's Pop Music Hall Of Fame is a recent blog, with lots of sleeve art and short writeups. Must-visit here! Another single featuring The Clansmen, here. Something special for the girl pop fans! 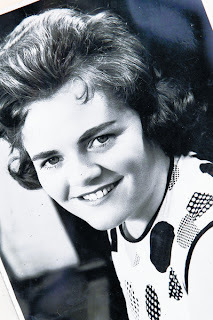 A chirpy Dusty Springfield cover by the late Irish singer, Maisie McDaniel. I just found this vinyl yesterday, and it's a song I can't wait to share! Maisie McDaniel's orbituary write up, here.